Ridley Scott has been saying in interviews lately that he likes to make his movies quickly. Maybe that’s why “American Gangster,” which opens in the U.K. Friday, lacks his customary visual flair. It’s a workmanlike crime picture but there’s little of the Scott style that made everything from “The Duelists” to “Blade Runner” to “Black Hawk Down” so arresting. Steven Zaillian’s script lacks memorable dialogue and the performances by Denzel Washington and especially Russell Crowe are merely professional. Marc Streitenfeld’s music is nothing to write home about either. 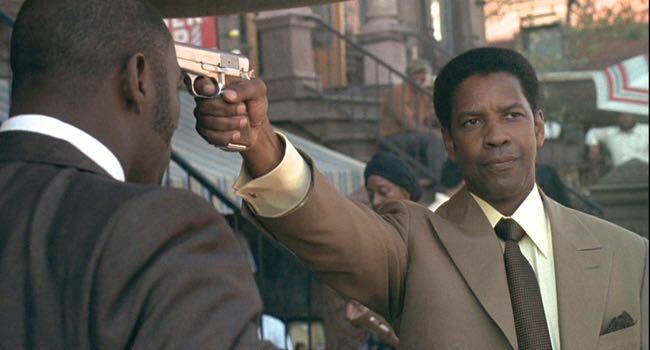 This entry was posted in Film, Reviews and tagged 'American Gangster', Denzel Washinghton, Marc Streitenfeld, Ridley Scott, Russell Crowe, Salon, Stephanie Zacharek, Steven Zaillian. Bookmark the permalink.